Our three-leaf nature-inspired engagement ring is hand-carved and cast in 14k gold. 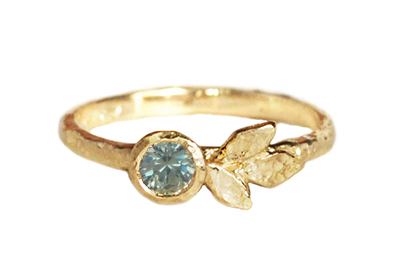 It features a quarter carat seafoam sapphire set next to golden leaves. This design is available with sapphires, diamonds, and other gemstones and can be cast in yellow, white or rose gold.